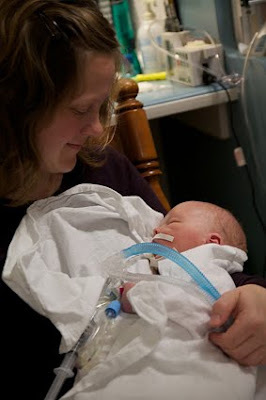 As told by Sara, his mom, 9 months after his birth, “life”, and death. Likewise we were taught about the evils of the medical world, but in subtle ways. We learned about the, “cascade of interventions, the way doctors over use/depend upon technology for convenience and profit, and how their interventions were not in our best interest. Weeks before my due date, I panicked, terrified of having our baby at the hospital. We hadn’t planned on the cost of birth center birth. After three days of crying, my husband and I decided on a compromise, we would hire a doula from the birth center to attend our hospital birth. The difference was paying $800 instead of $3800. Things went fine and our first son was born without issue in 2008. Upon learning we were expecting our second baby; we sought a different model of care. We wanted an environment that knew natural childbirth well and how to support moms during the course of labor. We wanted an environment and a staff that viewed birth as natural and normal first, knowing well that things can quickly change during pregnancy and labor, requiring a referral to an OB or the hospital. We liked the idea of knowing our caregivers well, and the fact that they knew our family well as opposed to being at a large practice like our previous experience. I wanted to know who would be present at the birth and I wanted it to be someone we knew well, a personal connection if that makes any sense. We chose a freestanding birth center (meaning no oversight by a physician or hospital, although they did have an OB that they often referred to and often spoke of mom’s who transferred care to the hospital.) It was our impression that choosing the birth center was a “happy medium” between hospital and homebirth. Essentially what we had unknowingly chosen was a homebirth in someone else’s “home”. It never occurred to me that this was the case until too late and I never thought to research homebirth before our baby’s birth. We also found out far too late that none of our midwives are insured, something that would be paramount in trying to hold them accountable later. At about 32 weeks we were told that our baby was in the breech position. We were given a list of things we could do to try to help the baby turn including homeopathic remedies, the pelvic tilt exercise, chiropractic care, and swimming. We did them all. As we continued to go to our appointments, each week we were told something different. One week Magnus was head down and the next he was not. It was an emotional roller coaster to say the least. I kept asking if there was something I should be reading to learn more about breech birth and I was repeatedly told not to worry yet as many babies turn, some even during labor. At 37 weeks we asked for an ultrasound to see what position the baby was in. We had an appointment that day with our midwife S. and she was fairly certain baby was breech, but we wanted to see for sure since just days ago a different midwife thought he was head down. The ultrasound showed that he was indeed in the frank breech position. The ultrasound tech took some other general measurements, like the amount of amniotic fluid, but was not asked to estimate baby’s size or weight or check for cord or head positions, which we later learned would be critical information to have checked in considering candidacy for vaginal breech delivery. At 38 weeks we knew we would be asked to make some decisions about our baby’s delivery. We thought our choices would be to schedule a c-section or consult with a well known midwife who had experience with vaginal breech deliveries at home. At that appointment with C., CNM, I was first asked if I had any thoughts about delivery for a baby in breech position. I had done a small amount of internet research on the topic just because I was nervous during all of the flip flopping this baby appeared to be doing. I knew I did not want to schedule a c-section, that if I did in fact need one, that I preferred to go into spontaneous labor before the procedure took place, believing that would be better for both mom and baby. I also knew I did not want to try doing a version. We were surprised that C. offered us the option of having a vaginal breech delivery. I say surprised b/c leading up to this appointment it was always a given that they did not attend breech deliveries at the birth center, they would typically refer the client out. We had been told that they don’t take on high risk pregnancies and could spot trouble long before it was critical…that they would transfer if they needed more support. At the time I was relieved at being given the option b/c we had went so far out of our way to seek their care and wanted to stay. At the same time, I expressed my biggest concern in all of this being the baby might be too big for me to deliver or his head getting stuck. I don’t know why that was my thought, but it was there. Her response was that she estimated Magnus’s birth weight to be about 9lbs and since I had delivered Jonah at 8lbs 12oz I would be a good candidate for a vaginal breech delivery. She also said that breech babies usually “fall out” once their bottoms had come out and that she thought the hands and knees position would be an important part of delivery. I asked her specifically what she would do if indeed he did end up getting stuck and her reply was, “She’d have to get him out.” She told us that breech babies are, “Just a variation of normal and that as long as there wasn’t anything odd or troublesome that delayed labor, then we could have the baby there and not be transferred to the hospital.” That’s it. No discussion of what could go wrong, no indication that it could turn out in such a devastating way as it did. We did not know fully understand the severity of risk we were taking on. I then asked about research and safety. C. told us about recent research from Canada that suggested that vaginal breech delivery was better for moms and babies, and just as safe as a c-section. Before our appointment, when I had done my bit of research on the topic, there did seem to be a trend in support for a comeback in vaginal breech delivery as well. I asked about their experience with vaginal breech delivery and they had attended one birth in this fashion. She said that some of the midwives and staff at GBC had attended a conference in Canada about breech delivery and that they felt confident in attending this birth. I asked if we should ask Pat (the aforementioned midwife who is quite experienced with vaginal breech deliveries at home) to attend this birth at the birth center, just to have someone else there who knew more about this sort of delivery. I was told it wasn’t necessary, but if we wanted to, we could ask her to come. Our impression at this point was that there were no more risks with doing a vaginal breech delivery than there would be with doing a c-section delivery. I asked about what I could be reading to prepare myself for this type of birth and I was told there really wasn’t anything available. As we drove home, I asked Jarad how he felt about all of this. He said that we had chosen them to be our caregivers for good reason and they had taken excellent care of us up to this point. In essence we should trust their judgment being the professionals. And so, we let that be enough. In hindsight, we should have pushed more about specific risks involved, but didn’t really know what else to ask. At 3am on April 8th, 2011 my water broke. It was right on time, considering my due date was April 7th. I awoke from sleep realizing what had happened and called C. My contractions weren’t very strong yet or timely so I tried to go back to sleep. By 6am we were headed to the birth center. Things were becoming more intense quickly. I naively thought we’d be home by lunch time. We got ourselves settled in at the birth center and tried to relax. Shortly after I was there they assessed baby’s position and thought he was head down. Relief! At about 7:30a I got up to go to the bathroom and came back reporting that there was some brown discharge. She said this was probably meconium and that baby could in fact be breech. We went along as planned and by 9am I was pushing. I spent most of the time pushing on hands and knees on the bed with little progress. More meconium indicated that he was breech. I pushed and pushed for hours with no progress. By around noon I told Jarad I didn’t think I could do this anymore. C. decided to check me at this point and realized then that my cervix wasn’t completely dilated. I had been pushing against my cervix for at least three hours. She tried to manually help the “lip” recede and I tried a few different positions. Our last effort was to get into the tub to help me relax. She said if that didn’t work that I’d have to transfer. At this point, I was so exhausted and focused on labor that I couldn’t have thought clearly if I wanted to. I got into the tub and it seemed to do the trick. My cervix opened fully and I could feel each contraction and push working together. Meconium everywhere, baby was on the way. At around 3p, his bottom came out and legs. I could feel his legs moving around outside my body and said something to that effect out loud. I had been making good progress and could feel each contraction working with me as I pushed. After his legs and abdomen came out, my pushing changed. With the next contraction, I pushed, but I didn’t feel like I was pushing on anything or making any progress. His shoulders, neck and head were not coming, and certainly were not “falling out”. After about two contractions like this, C. suggested that I change my position from being reclined in the tub to on my knees and upright (Definitely not on hands and knees as had been suggested earlier. I don’t know how much position mattered. ), still in the tub and I pushed again, nothing. Then S. started becoming more assertive in insisting that I get out of the tub and into a deep squat. Things had suddenly become urgent. A. had just listened to his heartbeat again on the trunk of his body. They hadn’t in a while, I don’t know how long it had been because the philosophy was not to touch a breech baby as they are coming out b/c they could put their arms up and be in danger. I heard S. say we have to get him out. C. pulled his arms out while I was still in the tub and they lifted me out and pushed me down into a deep squat. I could feel C. moving his body around trying to get his head to come out. When he came out, his cord was wrapped twice around his neck and he was not breathing. They milked the cord and immediately started resuscitating with chest compressions and a breathing mask/oxygen. They called an ambulance and kept trying. The ambulance came in a matter of minutes and took him out of the birth center. Jarad was going to go with them, but they wouldn’t let him in the ambulance until baby was somewhat stable. He stood in utter shock outside the ambulance waiting, for at least 20 minutes while they tried to help Magnus. Finally they transported and Jarad rode along. S. rode along too to help in the ambulance while I had to stay and recover at the birth center. In the meantime, C. gave the EMT’s her chart notes. When they stepped out of the room she told me she was telling them that she didn’t know the baby was breech until it was much later, close to time of delivery. I didn’t understand why she felt she needed to lie about this part of the delivery, but I thought it was strange nonetheless. I found out later through police investigation that she also told them that fluids were clear, no meconium present. She also reported without our knowing that we “declined transfer”. I spent hours at the birth center waiting for news. I had to wait until I could pee before I could go to the hospital to be with Jarad and Magnus. By 7pm I was anxious to go and they did a catheter to get things going. I packed up and they drove me to the hospital. 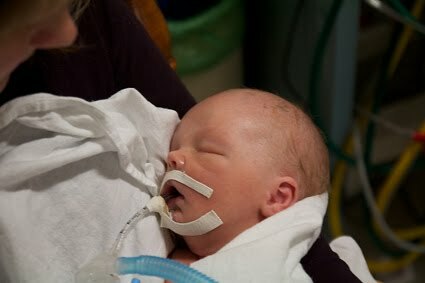 I found out later from his NICU doctor that took him in that night that they spent 45 minutes trying to bring him back, when normally at the hospital they would have given up at 20 minutes. He said he was essentially dead when he arrived and that he had never seen a baby that severely injured who came back. We spent two weeks in the NICU grasping at any progress he made and at first he continued to surprise the doctors by even making any progress. After that long two weeks of watching him go on and off the vent, his belly fill with fluid, and organs gradually shutting down, we knew that further medical intervention would only prolong the inevitable. We were in agreement all along that we wanted to give Magnus every opportunity we could to recover, but when it turned for the worse we would not want him to endure interventions that weren’t going to support him in actually healing from this injury. We decided that putting him back on the vent wasn’t going to help matters and so we knew we had to say goodbye to him. They walked us through the process of unhooking him from all of the machines and took us to this little room to hold him and be with him during his last moments here with us. There is nothing worse that holding your own baby, knowing he’s going to die and watching it happen. I never saw Magnus open his eyes, not until he took his last breath and they opened wide and froze. It’s an image that will never leave me. This has been such a shock to us that it has taken me months to really start to see this in a different light. At first I was so protective of the birth center, always worried about how they were coping and not wanting anyone to know the details. At first I didn’t even really know what happened. I asked for a meeting with all of the midwives and I met with them personally a few weeks after he passed away. I wanted to know what happened. Essentially they were surprised at his size at 10lbs, 4oz. and said the cord around his neck was probably pulled tight when his body came out before his neck and head, cutting off his oxygen supply. In my estimation it was a nice way of saying he had basically strangled himself in his own cord. I didn’t know that was even physically possible in choosing this route for delivery. A., CPM asked me at this meeting if I felt they had given me enough information. I said, “I don’t know, you’re the expert, is there anything else I should have known going into this?” No one said a word. The truth was that we were grossly uninformed and I believe on purpose. They had been waiting to try this kind of birth and found people trusting enough to go along with it. C. told me on two occasions that she had replayed the events over and over in her mind and didn’t know what else she could have done differently. She told me she did her best. As it turns out, her best wasn’t quite good enough for the situation we ended up in. It occurred to me one day as I was thinking about all of this that even in that meeting when I asked what had happened, they described what happened to Magnus. There was no sense of responsibility or ownership for what had taken place or for the fact that we even ended up in an emergency situation. In their estimation there wasn’t anything that they could have done differently, or at least that’s what they were telling me. I don’t know the ins and outs of birth, I’m not the professional, but I feel so strongly like they missed something. I didn’t know what it was, but nothing about what happened felt right. 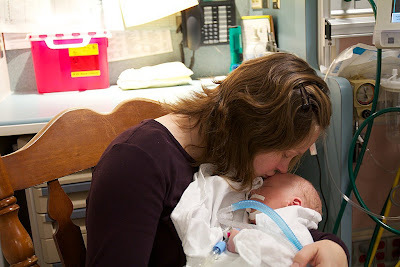 After a few weeks had passed, C. came to our house for a postpartum visit which is part of their protocol. We didn’t have any specific questions, we were still so emotionally distraught and Jonah was present so we tried to keep emotions to a minimum. Something she said that day was another haunting memory. She was talking to us about faith, almost like she was trying to make this right in her own mind and said, “Some babies just aren’t meant to live.” I was speechless and so angry I didn’t have words because I know there was nothing about Magnus that wasn’t meant to live. Again, she told us she did her best like that was some sort of consolation and said she hoped that we would have another baby with them someday. This is one of the many moments that I can’t erase from my memory. I get flashbacks of certain phrases or images that haunt me and this was one of those moments. I kept waking at night with distorted images of Magnus walking around our house, but it didn’t look at all like him. In the medical records we not only read about the lies they told about us and the birth, we also learned that Magnus died from severe birth hypoxia, and asphyxia. He was entrapped for over 7 minutes, tangled, and full of meconium. Learning they lied weeks after his death, we started researching furiously about breech birth. We learned just how grossly this labor and delivery were mishandled. If they had looked for size and cord placement in the ultrasound they would have known before labor even started that we were NOT good candidates for vaginal breech delivery. If they had read the Society of Obstetrics and Gynecology of Canada’s (SOGC) research they referred to before our labor, things would have been managed very differently. Our baby was 10lbs, 4 oz, far exceeding the 8.8lb maximum the research suggests as safe. His cord was wrapped twice around his neck, both factors likely why he couldn’t turn into the correct position despite trying. I pushed for a total of 6 hours, almost 4 of which was without progress. The SOGC’s research says that a woman should not be pushing for more that 60 minutes without progress with a breech baby before it’s a sign of serious trouble. There were maneuvers that should have been performed in the heat of the moment that weren’t even attempted. We found out that the research in Canada was written for doctors, NOT out of hospital midwives and explicitly explained that these kinds of deliveries should ONLY be attempted by very well trained professionals in a medical setting where immediate medical help is ready and present. Our midwives also neglected to explain that Canada has now made it illegal for midwives to call themselves “midwives” or to practice as such with out a university degree. The actions of the SOGC are exemplary in many ways. Too bad our midwives didn’t read it or use it in the way it was intended, to keep women and babies safe. Instead they twisted it to fit their own agenda. Our attention and effort turned toward accountability. We felt like we had been used as guinea pigs, as part of someone’s experiment meant to advance their own agenda, meant to make a statement politically. We feel so much like this is fraudulent behavior, that they use the professional façade of a business to lure people into feeling comfortable, pretending to have requisite skills that they do not have. We had no understanding of their extremist views and how they would influence our care in the midst of crisis. Our midwives made a conscious decision to take a risk with our baby’s life, to adhere to their own philosophy with blatant disregard for our safety, to lie to protect themselves, and then to sell us the regurgitated line, that “some babies aren’t meant to live.” They hoped we would disappear under the rug of silence and sorrow as many families do. I was screaming inside a glass bottle where no one could hear. We will not be silent. We reported this to the state, asking for investigation of the two nurse midwives, as did the hospital without our knowing. We asked the police and county prosecutor to investigate to see if criminal charges are warranted. We hired our own civil attorney and reported the incident to the North American Registry of Midwives for the CPM involved. (That’s another story of corruption and deception). I don’t really even know what I’m hoping will come of all of this other than some form of accountability. I was taught as a child when you do something wrong, you don’t hide behind it. You face it, look the other person in the eyes and face the consequences. I feel strongly that families need to find a collective voice in the wake of all of this, a voice that demands that midwifery be practiced safely in America, with clear guidelines and responsible oversight.